Mattice Lake Outfitters is home to some of the most diverse wildlife in the Ontario region. Our trips tap into that beauty, offering visitors the chance to explore what the lakes have to offer. But when it comes to moose hunting—one of our most popular expeditions—nothing is more important than having a solid hunting backpack. 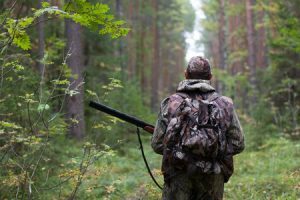 Now, finding the right hunting backpack isn’t that hard to do, if you know what you’re looking for. A backpack should really be three things: comfortable, reliable, and functional. And in order to fill out these requirements, you’ll need to keep these things in mind. A backpack needs to hold everything that you’re planning to take with you on your moose hunt, and it needs to hold it well. So you want to make sure you have a backpack that accommodates your plans for the day, and uses every inch of space strategically. That way, you can bring a comfortable load. Since you’ll probably be wearing the pack for most of the day, comfortability should be a top priority. So, you’ll want to find a pack that fits your body well—not too big, not too small. This should go without saying: you want a pack that actually works! Paying a few extra dollars for a higher-quality brand is worth it—and you’ll be telling that to yourself when you’re out on the trails, and your shoddy zipper breaks. We also recommend anything with Dyneema Strength Panels, which is stronger than steel yet lighter than water. Remember in high school when you had a backpack with a pocket for everything? A hunting pack is a little like that—you’ll want to find a pack that comes fitted with spacious compartments, and the latest features, like waterproof coating and safe secure. Because the best hunting pack delivers the best hunting trip, that’s an outfitters’ guarantee. Call 1-800-411-0334 today to book the trip you’ve been dreaming of!